MJM Electric holds a safety committee meeting each month at the MJM Electric office. The safety committee is made up of 6 people total with half of the representation being office personnel and the remaining representation coming from field leaders. MJM Electric places a high priority on safety and a safety first culture. By holding these meetings each month it allows the field employees to address any safety concerns and we, as a company, are able to immediately remedy any concerns. MJM Electric is making the effort to ensure that all personnel are properly OSHA trained for safety. All foremen in the field have now completed the OSHA 10 requirements whereas all of the project managers are now OSHA 30 certified. MJM Electric has no hesitation in investing time and resources to ensuring a safe working environment and a safety first culture. Our Superintendent does an excellent job of employee tracking and making sure that all employees are up to date. 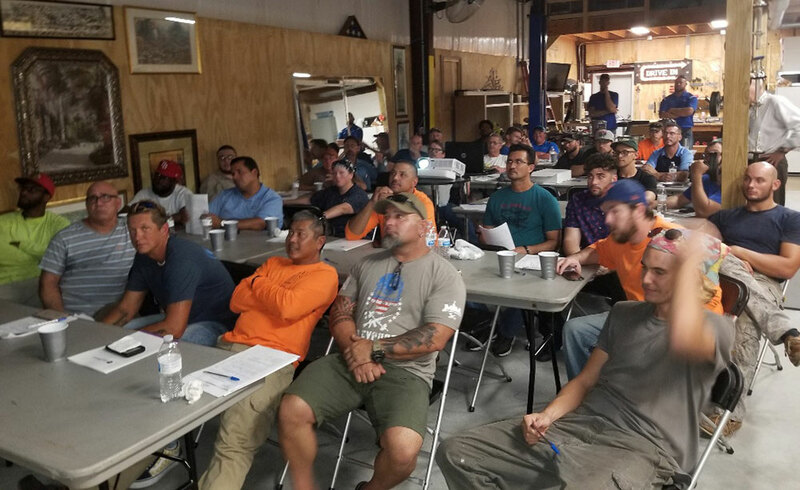 MJM Electric held a safety meeting for all field employees and conducted additional training on the updated NFPA 70E safety standards. Mark Mazur (Owner/President) was recently afforded the opportunity to meet with President Donald Trump. President Trump was visiting Tampa and was signing legislation that would further the growth and highlight the importance of vocational training. Mark Mazur was able to attend this meeting along side other representatives from the NECA National Office and represent the electrical trades. MJM Electric has taken a very active role in furthering the growth and development of the electrical trade. MJM Electric recently sent our Accounts Payable Manager to Texas for some additional training and education for ISN. ISN is used by many of our customers and MJM Electric is committed to meeting our customers requirements whatever they may be. MJM Electric has been investing in a leadership development program for both office staff and our field leaders since 2017. The program is lead by Alex Willis of Leadership Surge. His leadership development program, 1st & 5, gives employees the skills they need to become successful leaders in the trade industry. Through a combination of live training, video and on-the-go training modules, MJM Electric employees are learning how to identify problems, find solutions, as well as how to manage both their professional and personal lives. The TECO Secure Data Center project came with many challenges that would need to be overcome to be successful. 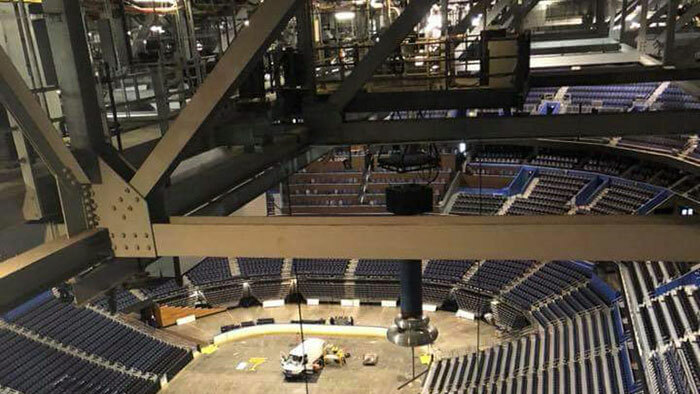 These challenges included an accelerated schedule and having to install a completely new electrical system without interrupting the existing during installation. The new electrical system was comprised of two new 2000Amp electrical services feeding a new paralleling distribution system. The distribution system also included two generators and two new 500kw UPS systems. These UPS systems serve as a redundant back up for the new services. Mosaic established a Contractor Safety Award program in 2007. At that time they had Bronze, Silver, and Gold awards. The qualifications were based on man hours, incident rate, safety reporting, and contributions to the overall safety culture at Mosaic. MJM received an award in each of the next eight years. MJM just completed a 6-month review of the company safety plan and policies. We have adjusted our safety manual to remain compliant with OSHA/MSHA as well as current industry safety standards.